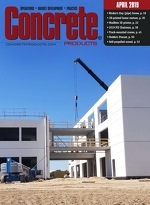 Concrete Products - Lean Six Sigma Value—Is the Concrete Industry ready for it? What is Lean Six Sigma (LSS)? It is the combination of two world-renowned process improvement and quality philosophies that make for a powerful means to achieve and sustain continuous quality improvement and exceptional performance in all functions of your business. Taken separately, Lean is a process-improvement quality philosophy that stemmed from a history of process enhancement within Toyota, supported by the initial work of Edwards Deming, Malcolm Baldridge, Henry Ford and others, both before and after World War II. The foundational ideas were then taken to new heights by the leadership of Toyota, which ultimately developed the “Toyota Production System” (TPS) and the “Toyota Way,” encompassing Lean manufacturing and used within many industries today. Six Sigma, on the other hand, was developed by Bill Smith of Motorola as a means of statistical measure for processes and subsequent quality controls. In this issue, we will further define these two historical process control philosophies and their relationship and value to the concrete industry. It’s important to note that many, if not all, industries have adopted levels of LSS. It influences your everyday life and almost all the things you do, from the alarm clock that wakes you to the light switch you turn off at night. Recently, I see its use more within our industry, in addition to contractors considering the power of adopting these tools. In order to better understand each of these principles, you need to embrace the idea that almost every part of your business is a process. From the obvious steps of ordering, batching, mixing, delivering and invoicing, to the more obscure of sales, technical service, HR, accounting, as well as IT, all are processes and can be improved upon to add value to your business. To best understand Lean is really to take into account the history of Toyota manufacturing, because that is where this philosophy truly “cut its teeth.” In 1894, inventor Sakichi Toyota set out to build better looms for exceptional quality weaving, then through continuous trial and error, tackled automating them. In 1926, he started the Toyota Automated Loom Works with worldwide acceptance for quality and performance. In 1930, he and his son Kiichiro sold the patent rights and used the capital to start the Toyota Motor Company. Later in the 1930s, they visited both Ford Motor and General Motors to better understand mass production, only to identify that Japan's market was too small and the demand too fragmented to employ the same production techniques (much like the concrete business). By studying Henry Ford’s book Today and Tomorrow, where the author preaches the importance of creating continuous material flow throughout the manufacturing process, standardizing processes and eliminating waste, they found more solutions to implement. Toyota modified the production process to fit the smaller “just in time” market in Japan following these and other process and quality philosophies of the time, slowly growing their business. After the war, Eiji Toyota (cousin to Kiichiro and successor) was asked to visit Ford's new River Rouge Complex near Detroit, to better understand “modern” mass production. Upon his return, he challenged the company to equal Ford's production, while maintaining high quality, low cost, short lead time, with just in time supply and flexibility (inclusive of a systematic approach to problem solving techniques and quality learned from Edwards Deming). By the mid-1950s, on their return visit to the U.S. auto manufacturers, it was clear that the process here had not evolved and was full of “waste”—in time, product, employee efficiency, quality, inventory, process control and agility. Ironically, what Henry Ford preached in his book was not being implemented by his own company, much less the other U.S. auto makers. Toyota continued improvement and crafting of the foundational Lean principles and ultimately most of you know the rest of the story. By 2003, Toyota’s profits were greater than GM, Ford and Chrysler combined, and its autos were recognized for quality. Subsequently, all auto manufacturers and most major industries have embraced the lean process originated by Toyota. The Toyota Way (Lean) has 14 foundational principles that can build value within your business. Principle 1. Base your management decisions on a long-term philosophy, even at the expense of short-term goals. This may be hard to embrace, but the proof is shown in a number of companies that it works. It also pushes you to have a mission/plan/strategy you believe in. I see this inherently within some concrete businesses, but you really need to look in the mirror and have the fortitude to stay the course on a business philosophy, which in times like today, can be challenging. Principle 2. Create continuous process flow to bring problems to the surface. Strive to eliminate process waste so that there is no idle or waiting time. When you break your business down into each process, it is easier to see waste or non-value time/activities. How often do you study a specific process—delivery, for example—to see if there is time to save? In a previous article we discussed taking site wash down to 3-6 minutes max. How long is your site wash down? It’s important to go through each process to identify waste and get rid of it if you can because it does not add value to your business or your customer. Principle 3. Use “pull” systems to avoid overproduction. Minimize work in process and inventory, creating a “just-in-time” environment. The concrete business tends to do this naturally, with inventory turns measured in hours, not days, but you must look at all processes. How much do you have sitting around your shop or in the cabinets collecting dust? Principle 4. Work hard to level out the work load and production as an alternative to the stop/start approach. This can be difficult for concrete delivery, but what about all the other processes in your businesses? Remember stop or wait time is waste. Principle 5. Build a culture of stopping to fix problems to get quality right the first time. Use all modern quality-assurance methods available and put countermeasures in place. If you have ever had the same problem twice, you need to jump on the principle and adopt the philosophy across your business. Remember concrete only gets more expensive to remove the harder it becomes. Too often, energy is spent on a solution to a problem rather than what caused the problem to occur in the first place. Principle 6. Standardized tasks are the foundation for continuous improvement and employee empowerment. Use Standard Operating Procedures (SOPs) throughout your business and standardize to today’s best practices. Standard procedures help employees know what is expected and management to ensure consistency. One big reason for inconsistency is a lack of standardized procedures. Look at your business and imagine if every employee did things the same as your best employee. Principle 7. Use visual controls so no problems are hidden. For example, make the fly ash coupling different from cement to prevent contamination, use magnetic flags to highlight mechanical needs on a truck, and have color codes cards for specific will call business each day. Principle 8. Use only reliable, thoroughly tested technology that serves your people and processes. Check and double check new technology to ensure it works and does not conflict with other parts of your business. Make sure when adopting new technology, all are aware and involved (cross functional) to address open issues, create “buy in” and promote fast implementation when ready. The original phrase, “The road to hell is paved with the best of intentions,” holds true (I always thought it was asphalt). There have been some great ideas that cost more than they’re worth because operations, sales, IT, HR, back office were not involved. Principle 9. Grow leaders who thoroughly understand the work, live the philosophy, and teach it to others. Experience pays and always has, especially if there is a sound mission/philosophy in concert with it. As many have found out the hard way, the concrete business is a very challenging venture, with many opportunities to gain or lose profit, so look for leaders with experience and help them constantly build on it. Principle 10. Develop exceptional people and teams who follow your company’s philosophy. First, you need to have a philosophy, and then live it every day within your business. When you are passionate for the business it shows to your employees and customers. You also need to continuously challenge your employees to develop and grow. There is more than a lifetime of things to learn about ways to improve profitability in the concrete business. Just when you think you have mastered it you find more to learn. Principle 11. Respect your extended network of partners and suppliers by challenging them and helping them improve. Have you set targets, goals and objectives for your suppliers lately? What is the net effect if they improve their product, which ultimately improves yours? Because concrete sits in the middle between multiple suppliers and contractors, pushing your suppliers to improve can benefit you and your customers. Use your supplier sources to the max; they should never be looking for something to do. Principle 12. Go and see for yourself to thoroughly understand the situation. Get your boots on and jump into a situation, don’t just listen to hearsay from a distance. With problem solving and process improvements, you need to see the issue first hand. In the case of concrete, “bad news needs to take a fast horse.” So, make sure you have an environment where you don’t kill the messenger and the focus is on improvement. Principle 13. Make decisions slowly by consensus, thoroughly considering all options; implement decisions quickly. Do your homework, be detailed and focused, then get it done quickly. Do not allow the implementation of a great idea to lose momentum due to a slow pace of getting it done. Wherever you see a potential for value, especially now, go after it and save money fast. Principle 14. Become a learning organization through relentless reflection and continuous improvement. Constantly be looking at your business for ways to improve in process and people. Break the business down into individual processes or have someone do it for you, then drive out waste with passion to find extra value. Lean develops principles that are right for your business; by diligently practicing them, you achieve high performance and continue to add value to your customer, to society, and to your business through being competitive and profitable. There is a lot more depth to Lean that I urge you to discover, but the concrete industry is ready and primed to embrace the potential of these process improvements and quality philosophies. Six Sigma, on the other hand, was founded on quality, measures and performance to reduce variation and defects, and to provide measurable financial results. The evolution of quality systems and measures over the past 100 years has produced countless supporters of components, tools and measures, that, when implemented, further define total quality, variance and performance, ultimately targeting zero defects. Motorola’s Bill Smith formulated and introduced the Six Sigma methodology in 1986 (inclusive of all previous quality initiatives and tools) with dramatic success. With a foundation based in statistical engineering, Six Sigma is data driven and focused on removing process variation so that no more than 3.4 defects occur in 1 million instances (fairly close to zero defects). Another way to visualize this is a process that is 99.9997 percent accurate. What does it really mean? In the past, we accepted 99 percent (3.8 Sigma) as the best we could do. Not anymore. The 99 percent threshold now is considered “good” not “great” (Six Sigma), so what is the difference? At 99 percent accuracy, two either short or long landings occur at major airports each day, versus one long or short landing at a major airport every five years. At 99 percent, 20,000 pieces of mail are lost each hour versus only seven pieces per hour with Six Sigma. Apply this to concrete production, and it adds up. For instance, how many times a day do you over batch a design and give away material at your cost. On another front, how many do you need to re-invoice due to errors at $30–$50 per instance, or what’s the optimum level of air in truck tires to maximize fuel efficiency and are you hitting the mark each day. These and many more are all instances where the principles of Six Sigma could operate within your business. From a statistics standpoint, Sigma refers to standard deviation, which also defines variation in a process. The difference from “normal” standard deviation is that Six Sigma examines the range of performance to provide more information as to capabilities than just averages. After all, customers feel and understand performance not averages. Six Sigma uses a multitude of tools and measures to provide detailed information and typically utilizes trained professionals who are either classified as Green or Black Belts in the process. It provides a world-class leadership system that is very disciplined for achieving, promoting and sustaining continuous high-end improvement, but you need to have an appetite for taking your business to this level of measure. While I see a few entering this space, I believe we have a way to go as an industry before we fully embrace Six Sigma. As a trained professional, I am cautiously confident in the concrete industry's acceptance of the total system, yet believe there are many tools that would be beneficial to any producer as a means of measure today. Therefore, I once again urge you to learn more about how to utilize this methodology within your business, as it could allow you to find tremendous value. Together Lean and Six Sigma work in concert to improve processes in any business. Where Lean focuses on dramatically improving a processes' speed and reducing waste, Six Sigma reduces variation and defects. Together they will add value to the concrete business; and "yes", I believe as an industry we are ready for it.